In the confusion of data overload, testing controversy, pedagogy reforms, and free-market initiatives, what could happen if an artist were in charge? 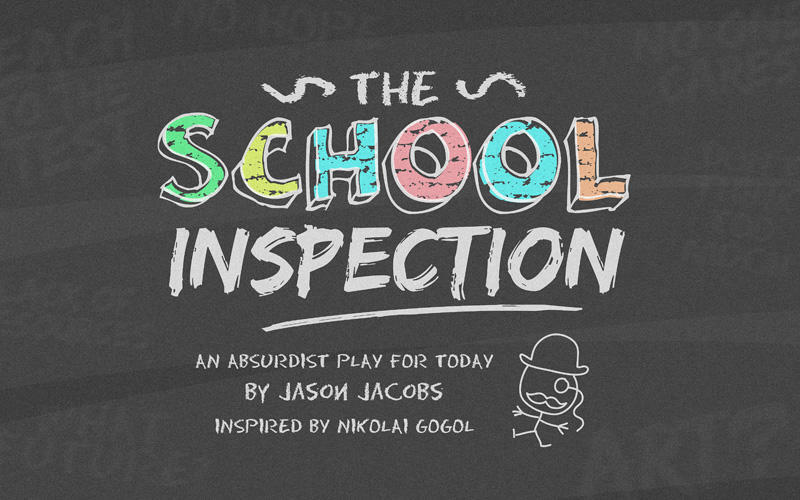 ﻿An absurd farce, inspired by Gogol’s hilarious satire The Government Inspector and the experiences of artists working in NYC schools. Jason Jacobs has been creating theatre in New York City since 1995. His play Another Horatio Alger Story was recently a finalist at Chicago's Pride Films & Plays Gay PlayFest. He was named a NYTheatre.com “Person of the Year” in 2007 for his work as co-artistic director of Theatre Askew. He teaches for Roundabout Theatre, is a member of Lincoln Center Theatre Directors Lab and a graduate of Yale (BA) and Columbia (MFA).